Jamie Dimon wants you to know just how big his bank's "fortress" balance sheet is. If there was a repeat of the Great Recession, Dimon says JPMorgan Chase (JPM) has amassed enough capital to absorb the combined losses of America's 31 largest banks. The Federal Reserve's stress tests estimate that JPMorgan alone would lose $55 billion in a worst-case economic situation. But the government has forced big banks to stock up on lots of capital. JPMorgan now has $350 billion of loss-absorbing resources. That means the banking giant actually has enough capital to swallow the losses of the next 30 banks, which is estimated at $167 billion. It's a bold statement by Dimon and underscores how he sees JPMorgan's enormous size as a source of strength, not weakness like Bernie Sanders and others warn about the big banks. "We are a port of safety in almost any storm," Dimon wrote in his annual shareholder letter that was published on Thursday. 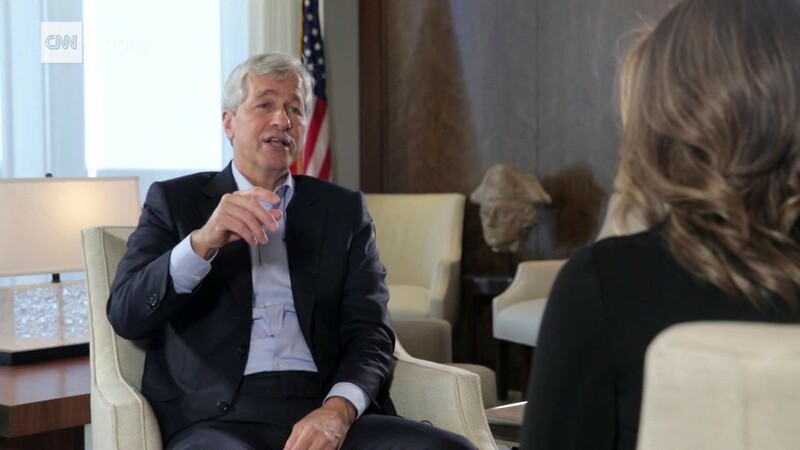 Dimon didn't have many harsh words for regulators, a change from the recent past. But he continued to vigorously defend big banks in general and specifically highlighted JPMorgan's post-crisis efforts to make itself less risky. 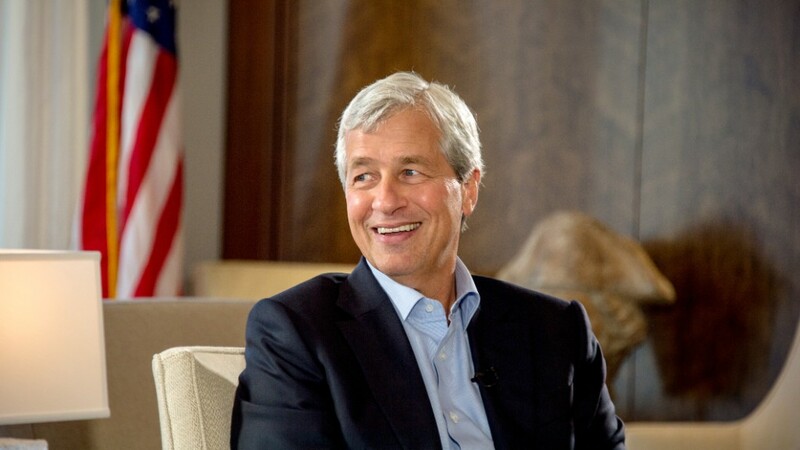 The company has made progress "toward reducing and ultimately eliminating the risk of JPMorgan Chase failing and the cost of any failure being borne by the American taxpayer of the U.S. economy," Dimon argued. By contrast, Sanders and others want to break up the biggest banks because they fear they still pose a systemic risk like in 2008. Sanders recently said JPMorgan "and virtually every other major bank" in the U.S. are "destroying the moral fabric" of America. Dimon told CNNMoney in November doesn't think "Bernie is going to win" and he's not "that worried about that." While Dimon didn't mention Sanders by name in his annual letter, he did hit back at political discourse in general. "Breeding mistrust and misunderstanding makes the political environment far worse," he wrote. Higher volatility is "here to stay": Dimon says investors need to learn to live with the recent "extreme" volatility in markets. While the system can handle the turbulence, Dimon said it's still a mystery what's causing it. Markets could freeze up: Dimon warns that liquidity -- the ability to quickly buy and sell stocks and bonds -- could disappear even more quickly than usual as a result of new regulation. "We really need to be prepared for the effects of illiquidity when we have bad markets," he wrote. Interest rates could spike: Negative rates aren't coming to America, Dimon argues, thanks to America's economic recovery. "I am a little more concerned about the opposite: seeing interest rates rise faster than people expect," Dimon wrote. He pointed to fading deflationary forces like cheap oil and the U.S. dollar and highlighted U.S. wage growth. Dimon also flagged weaker appetite for debt from big buyers including China. No smooth sailing for China: Dimon thinks there will be "many bumps in the road" as China's huge economy transitions. He said reforming state-owned companies and developing healthy markets with transparency "will not be easy." Brazil in turmoil but... Yes Brazil's economy is "deteriorating" and the country faces "political upheaval." But Dimon said even in the worst case, JPMorgan would only lose $2 billion in Brazil. "We are not retreating," he said. Brexit could spark trade war: Even though the U.K. may be better off in the long run "untethered" to the European Union, Dimon argues the short-term looks risky. In a "bad scenario" that is not even the worst-case, leaving the EU could spark "trade retaliation" against the U.K., Dimon said.